The lives of precious children are being saved from coast to coast. Pro-life citizens are working with pro-life legislators and governors to pass common-sense protections that ensure women and children have access to the latest technology and information about an unborn child’s development in addition to high-quality health care. This week, the Fifth Circuit upheld pro-life laws in Texas that have saved thousands of lives already. They reiterated what the Supreme Court has said before – states can look out for the health of unborn babies and the health of the mother in regulating abortion. These laws are vitally important. 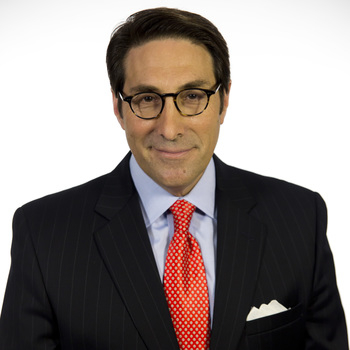 And this week on Jay Sekulow Live!, the ACLJ’s daily radio program, we were reminded why. Many people called into the show and spoke about the effects of abortion on their own lives. Through their vulnerable testimonies, we are all reminded just how devastating abortion is on all lives that it touches. Dana explained that the pain and regret of abortion follow a mother for the rest of her life. Dana revealed that, as a teenager, she went to Planned Parenthood when she was considering an abortion. She explained that upon arrival, she was whisked back for a two-minute “therapy session.” Despite her sobs and obvious distress, five minutes later, she was on the operating table. Dana said that not a day goes by when she doesn’t think about her decision and regret it. Bob reminded us that abortion affects other members of the child’s family as well. Bob told us that, in his youth, his girlfriend became pregnant. The couple went to Planned Parenthood believing that the organization would help them prepare to be parents. Instead, the staff convinced his girlfriend to have an abortion. Bob revealed that the abortion haunts him to this day. He asked us all to remember that abortion devastates many members of families. Dana, Bob, and many other callers this week are living proof that our work amounts to more than just political talking points or partisan jockeying. It’s more than policy; it’s about people. The pro-life laws we fight for actually protect real women, children, and families. Your partnership with us as we advocate on Capitol Hill, in courtrooms, and in the media is helping to reveal the dangerous deception of Planned Parenthood and other pro-abortion extremists. Pro-abortion advocates try to label those of us who fight for life as anti-women and anti-health. But we know the truth. As Mother Theresa is often quoted, "Abortion is profoundly anti-women. Three quarters of its victims are women: Half the babies and all the mothers." By supporting policies that require waiting periods and medical informed consent before an abortion, we empower women with the vital medical information they need before making a life-ending decision. By supporting state laws like H.B. 2 in Texas, we ensure women from all backgrounds are not subjected to unsanitary and unsafe facilities and receive the high-quality medical care they deserve. By supporting federal bills like the Pain-Capable Unborn Child Protection Act, we protect unborn children from the excruciating pain of abortion procedures. Ultimately, by fighting for the right to life no matter how small that life may be, we seek to restore the relationships between mothers and their unborn children, and end the culture of death that rips apart families and devastates communities. We are thankful for our brave callers who were willing to share their stories with us this week, and who encourage us to keep fighting until all women and unborn children are protected. Thank you for your continued support. We are achieving real victories. We are saving lives. But the fight is not yet over until the historic evil of abortion ends.